Popularly known for her breathtaking beaches, tasty cuisine and friendly people, Thailand is on the map once again for another kind of tourism – medical tourism. 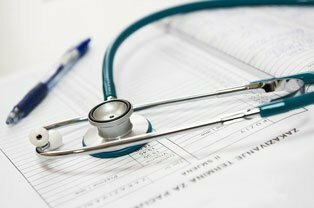 The two main reasons driving the influx of Westerners into Thailand for medical treatments are price and the high standard of care. 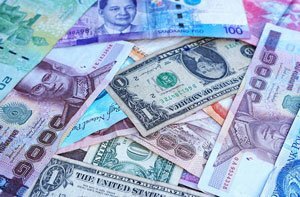 Whether it’s for dental work, cosmetic surgery or for addiction recovery, the cost of undergoing medical care in Thailand is far less when compared to the UK, US, Canada, or Australia – sometimes saving you as much as 80%. It’s easy to see why Thailand has become a popular destination for addiction recovery. The growing list of treatment centers catering to international clients offer an alternative to more traditional forms of rehabilitation in a country that has a deep association with Buddhism and mindfulness; and striking natural beauty. Thai rehabs are often in the same league as their Western counterparts for rehabilitation success rates but finding the rehab that is right for your specific needs and circumstances can sometimes prove daunting. The average cost of a 28 day inpatient treatment episode in Thailand is $10,000. To put into perspective the price of recovery, a luxury residential rehab facility in California, USA will cost around $80,000 per month whereas a comparable facility will cost about $14,000 per month in Thailand. For those with some spare cash, this puts quite a substantial amount back into your pocket – often used to extend the duration of treatment. Although Thai rehabs might appear to be good value, they are not heavily regulated. As rehab centers are essentially medical facilities, they too must pay the salaries of people with medical doctorates and nursing degrees. Psychologists, therapists and support workers are also part of this equation. A rehab center should therefore have professionally trained and qualified staff to ensure the safety of their patients and to provide the highest standard of care. Most rehabs are responsible and ethical in their approach but no all; caution is advised when assessing your options for addiction recovery. Type of facility – is it a dedicated rehab center used to treat addiction or a house in a residential area. Treatments provided – which may include a medicated detox, alternative therapies, and comprehensive aftercare. Location of the facility – is it located in a residential area, in the mountains or on a beach. Size of the program – whether it’s a large program with extended facilities or a smaller, more intimate rehab. Length of the program – which can vary from 30-90 days depending on a person’s needs. Amenities offered – such as a swimming pool, an on-site gym, massage therapy, nutritional counseling, and more. Professional staff – like suitably trained and qualified medical personnel, psychologists, support workers etc. Refund Policy – what happens if you arrive for treatment and it’s not what you expected. Is there any recourse? It is important to stress here that aside from the cost, other factors should be considered before picking a rehab center. If you are referred by a doctor, outreach service or therapist, they should have knowledge of treatment programs and recommend one that is suitable for your own specific needs. If you are choosing a rehab independently, you should spend some time to consider all the options. Learn about how successfully previous patients were able to complete the program, any aftercare program in place, availability of counselors and how qualified they are, testimonials from previous patients and their reputation. Gaining insight into your chosen rehab from independent sources will give you a clearer picture of what to expect when you arrive. Whatever the monetary cost of treatment, the price of not having a successful treatment outcome is much greater to a person’s health. Whether you choose to participate in a standard treatment program with basic amenities or luxury rehab that provides maximum comfort, you should select one that fits you as an individual and gives you the best chance of long-term recovery from addiction. Have a Question? Get Answers by Contacting Us Today! 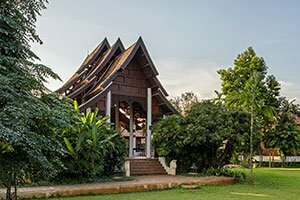 Thailand’s addiction treatment centers are unique – they use traditional 12 Step techniques and Cognitive Behavioural Therapies (CBT), but combine them with Buddhism and mindfulness in a country with stunning nature. Thailand is a great place to find peace, both mentally and spiritually. 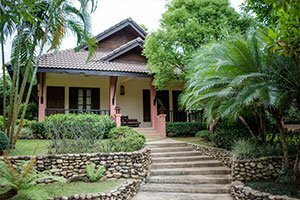 The Dawn Medical Rehab and Wellness Center is one of Asia’s leading addiction treatment centers set within a quiet and peaceful sanctuary. Comprehensive treatment programs are offered for substance abuse and mental health disorders using a proven Twin Pillars approach as part of a holistic inpatient program. Treatment combines the 12 step approach with CBT, Mindfulness-Based Cognitive Therapy (MBCT), Trauma-Focused Cognitive Behavioral Therapy (TF-CBT), and Mindfulness-Based Stress Reduction (MBSR). Specialist treatment is also provided for Trauma and PTSD, depression and anxiety. Cost: $12,000 for 28 days of residential care with pro rata refund policy if a client chooses to leave within the first 7 days. The latest addition to the growing number of Thai addiction treatment centers, The Beach Rehab Thailand is Asia’s only oceanfront rehab center. The Beach Rehab ‘do not take a production line approach that larger rehabs may adopt.’ As a small treatment center they are able to provide their clients with truly individualized care. A comprehensive treatment program is provided for drug and alcohol addictions and related disorders including dual diagnosis. The client-focused addiction recovery program combines evidence-based treatment methods with Asia’s first Addiction Nutraceutical Therapy program and nutritional therapy using the Dopamine Diet. Cost: $10,000 for 28 days of inpatient care. Probably the most well known treatment center in Thailand, The Cabin Chiang Mai is a luxury resort style rehab facility set in a custom built “rehab village” that caters to a wide range of clientele. The Cabin offer a modern clinical program that uses their Recovery Zones method that combines evidence based CBT, 12-step approaches and mindfulness. Licensed by the Thai Ministry of Public Health, treatment is available for alcohol, drug and process addictions. Located in Chiang Mai, Northern Thailand you can connect a domestic flight from Bangkok or fly direct from some of Asia’s transport hubs. All rooms are single occupancy with a 28 day treatment episode costing $14,900. 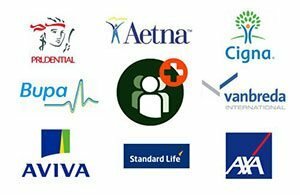 The Cabin accepts insurance from leading healthcare providers. DARA Thailand provides professional drug and alcohol rehab to clients from more than 50 countries. With a comprehensive and personalized approach to recovery, DARA Koh Chang combines therapeutic treatment methodologies under the supervision of full-time, internationally certified therapists. DARA employs the Cognitive Behavioral Therapy (CBT) treatment approach governed by Integrated Treatment Model (ITM), combining social, physical, psychological and spiritual aspects through individual and group orientated activities. Accommodation options vary between single and shared rooms. Koh Chang is accessible by air and ferry from Bangkok. Prices start from $6,995 for 28 days for a shared room. Expect to pay more for private and exclusive accommodation options. Formally a privately owned house with large gardens, Hope Rehab uses a holistic approach to addiction recovery. Treatment utilizes the Minnesota Model based on the 12-step program and philosophy of Alcoholics Anonymous (AA). The Hope program combines Mindfulness, Cognitive Behavioral Therapy (CBT), relapse prevention techniques with fitness activities. The staff are made up of counselors and therapists with diverse backgrounds including those who overcame their own addiction and are now offering help to others. 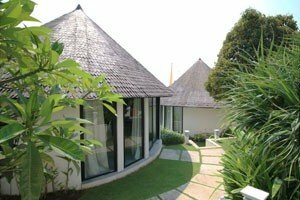 The center comprises 24 single occupancy rooms decorated with minimal Thai style furniture and artifacts. Hope Rehab Thailand is located 120 km southeast of Bangkok in the small coastal town of Sriracha. Cost: $7,400 for one month with advance non-refundable deposit of $2,000. A boutique-style rehab for treating drug and alcohol addiction with in-treatment relapse prevention and an aftercare support network. Lanna Rehab comprises a team of Western-trained and fully licensed professional addiction counseling specialists who adopt a presonalized approach to treatment that comprises Cognitive Behavioral Therapy, Dialectical Behavioral Therapy, Psycho-Educational Training and Physical Training. Accommodation at Lanna Rehab Center consists of 20 single occupancy en-suite rooms. Situated on the outskirts of Chiang Mai in Northern Thailand, it is accessible via Bangkok by frequent domestic flights. Pricing starts at $10,000 for 28 days. If you fancy the austere Buddhist monk lifestyle then a visit to Thamkrabok monastery could be what you need. This is a strict program run by Buddhist monks involving a 5 day detoxification program that includes drinking a secret concoction that induces vomiting to purge your system of toxins followed by meditation practice. Wat Tham Krabok has welcomed thousands of visitors since 1959 but the long-term recovery rates of participants has not been accurately established. Located in Saraburi central Thailand, it provides basic dormitory style accommodation with no rooms, no air-conditioner, and no hot water. 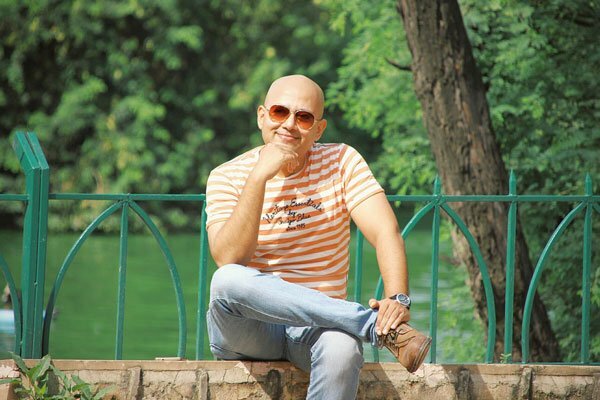 Critics dismiss the treatment practices as being ineffective and stress that there are no miracle cures, but Wat Tham Krabok has gained international attention. There is officially no charge for participating in the program but donations are accepted. Need Help? Confidential Advice and Support Available 24/7. I’ve heard good things about DARA Rehab from a former patient who has alcohol problems and needed professional help to escape that. I have a friend that has problems with alcohol and she also started taking drugs lately (not much but it could soon turn into an addiction) and I know I have to do something about it very soon. I’ve talked to her parents and we will probably choose this place once we have an intervention and convince her we want to help and that she needs this. I’d heard good things about Dara, but on arrival i soon realised this in NOT a good choice for too may reasons to list. The Cabin, Hope and Serenity all offer better /superior counsellors and services. Additionally Dara has a no refund policy even if you realise as i did less than 24 hours. Can you please share your experience with DARA? My husband is about to go there. MH, can you tell me why DARA was not a good choice??? My sister is going soon but now i’m concerned! Why did you leave after 24 hrs? Why do you think the Cabin, Hope and Serenity are a better option? I can’t believe anyone would even consider going to Wat Thamkrabok. I’ve heard that loads of folks have died and it’s covered up. People who need a real detox are putting their life in the hands of buddhist monks with no medical experience or qualifications for addiction coaching! Good article, thanks for the summary! It was good to see the choices in one page. Excellent guide and insight into Thailand addiction treatment centers. I have heard a lot about Lanna Rehab, my husband is an alcoholic he needs this therapy for sure. Thanks for the share. I’ve done a few of the rehabs here in Thailand and put it this way, I wish I went to The Cabin first…. By far and away the most professional setup with a purpose built brand new centre and their team of counsellors are excellent. If you’re looking for rehab, take my word on it after being a bit of a journeyman around most of them. Haha “purpose built brand new centre” only a marketing hack would use this term, pretending to be a client. This is the level of professionalism. This article is good, rehab isn’t easy and having such prices in USA makes it even harder. USA is the number one country with addiction problems, so we need all the possible help, and the quality and prices for rehab in Thailand are a good thing. I hope someday the USA government see drugs as they are, isn’t about dealers and traffickers, its about people with problems, if you cure your addicts, you stop the drug trafficking. I’ve dealt with family members who gone to rehab a few times in the US. It really hasn’t worked here. Not sure how much different the rehabs are in Thailand. It would be good to know what their success rate is. What does it mean to measure success rate? Is it if someone finish all treatment or still stay sober after some years?